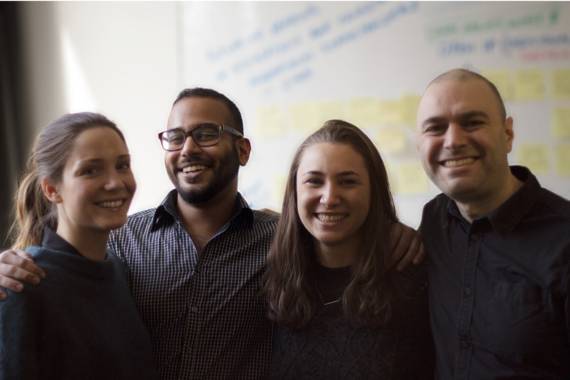 Team Sage (Courtney Cooper, Vince Galante, Lisa Hart, and Ziyan Hossain) are students from OCADU's Strategic Foresight and Innovation MDes program, and previously competed in the 2016 Hult Prize Regional Finals in Shanghai, China. Students around the world are creating start-up social enterprises to restore rights and dignity to refugees. The Hult Prize @ OCAD University congratulates Team Sage on their success at the campus qualifying competition. Sage is a mobile education solution that turns refugee camps into classrooms without the need for internet connections or physical spaces. Their network connects students with tutors, and provides the necessary curriculum for students to continue their education while living in uncertainty. The Hult Prize is the world's largest annual student competition and start-up platform for social good. It aims to identify and launch the world's next wave of social entrepreneurs by encouraging students from around the world to compete in teams to solve the planet's biggest challenges with innovative ideas for sustainable start-up enterprises. Annual Hult Prize winners can make their ideas reality with the help of USD $1 million in seed funding, as well as mentorship from a network of global leaders and changemakers. This year's challenge was "Refugees - Reawakening Human Potential": Restoring the rights and dignity of 10M people by 2022. With a focus on people and societies who may be, or are forced into motion due to social injustices, politics, economic pressures, climate change and war, as well as those currently living in informal / illegal settlements. OCAD University hosted their campus qualifying round on December 14, 2016. The winners of the qualifying round will bypass the traditional application process (20,000 applications!) and head straight to one of five final rounds of the competition in March 2017. The winning team hopes to compete in London, England. They were selected from a panel of esteemed judges including; Mathu Jeyaloganathan, Portfolio Manager of Impact Investing at World Vision, Marie Ang of the MaRS Centre for Impact Investing, and Ava-Dayna Sefa of LEAP: The Centre for Social Impact. 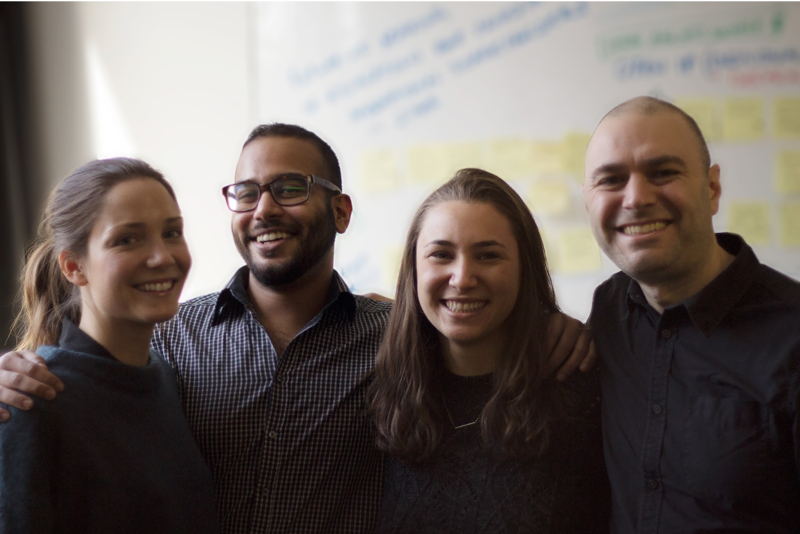 For the Hult Prize at OCAD University, this year has been full of firsts. Under Campus Director Roxanne Nicolussi, this year's Hult Prize has reached new levels of engagement with participants from various programs -- both graduate and undergraduate. The school, having never hosted pre-competition events in the past, hosted both a launch party and a 3-day hackathon to prepare the students for the upcoming competition. Thanks to Dasami Moodley, the hackathon included; ideation, design question formation, assumptions mapping, lean business model techniques, experiment design studio, prototyping lab and pitch preparation with industry mentors. The two hope to bring more events like this to the campus in the future. OCAD looks forward to keeping up with the team's progress throughout the competition.